I found this knitted square at the thrift store today for 95 cents. 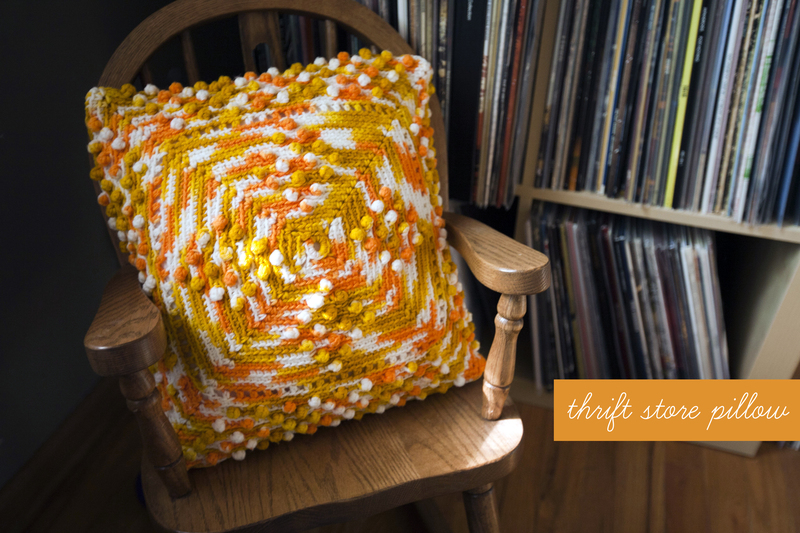 I saw it and thought it would make a cute pillow, especially because earlier in the day I had been eyeing up something similar at CB2 for $40….I found some yellow fabric at the thrift store as well, stopped at the needle shop on my way home to buy a pillow form and threw this together. This probably would have taken me 15 minutes tops if my sewing machine wasnt being such a jerk. 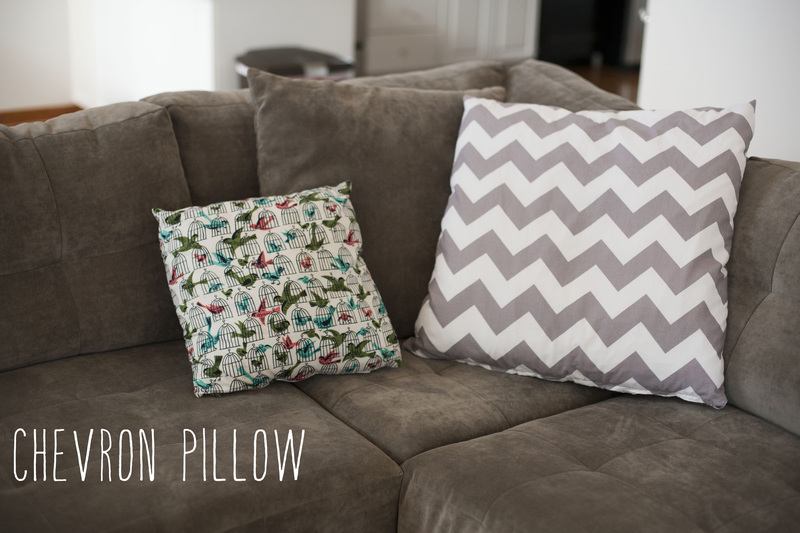 I spent a good deal of time wrestling with the top thread, only to give up and finish sewing the pillow by hand. It has a back flap, which I have never sewn before, but was super easy! I love it!